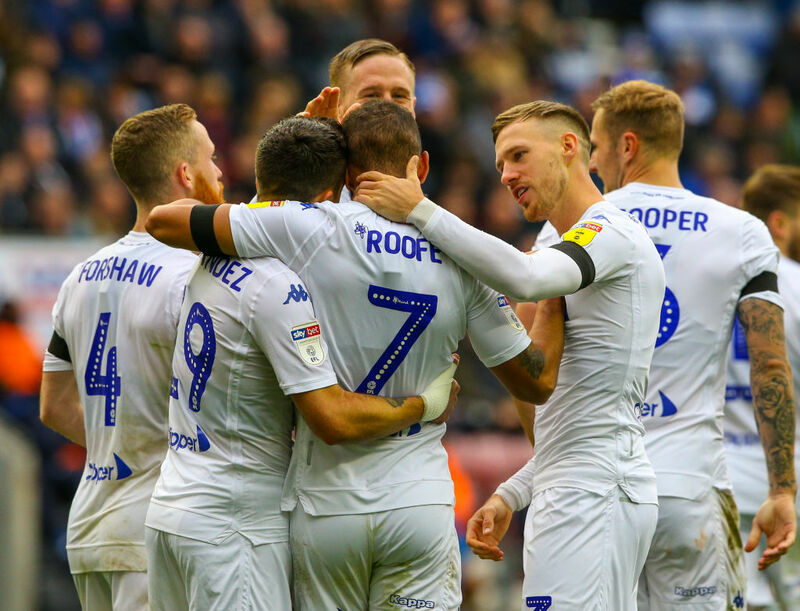 Leeds United moved top of English football’s second-tier Championship on Sunday after coming from behind to win 2-1 at Wigan Athletic. Hosts Wigan went ahead in the sixth minute through Reece James but Leeds hit back with goals from Pablo Hernandez and Kemar Roofe that put them top of the table with 30 points, ahead of Norwich City on goal difference. Leeds were one of English football’s powerhouses in the late 1960s and early 1970s and were last crowned English champions in 1992. They have been in the lower divisions since 2004, but they are now aiming to return to the big time. On Sunday their bid for top spot following former leaders Sheffield United’s 1-0 defeat at Nottingham Forest on Saturday was put in danger when they fell behind to a superb free-kick from on-loan Chelsea right-back James. However, Leeds were only behind for three minutes thanks to Hernandez turning in a Mateusz Klich cross. And it took Leeds just 39 seconds of the second half to take the lead, with an embarrassing defensive mix-up between Cedric Kipre and Christian Walton allowing Roofe to walk the ball into the net. Leeds almost added a third in stoppage-time when Hernandez hit the post and substitute Jamie Shackleton fired the rebound wide. The top two sides in the Championship are directly promoted to the lucrative Premier League at the end of the season, with the four sides below contesting a series of play-off matches to decide the third club to rise to the top flight.